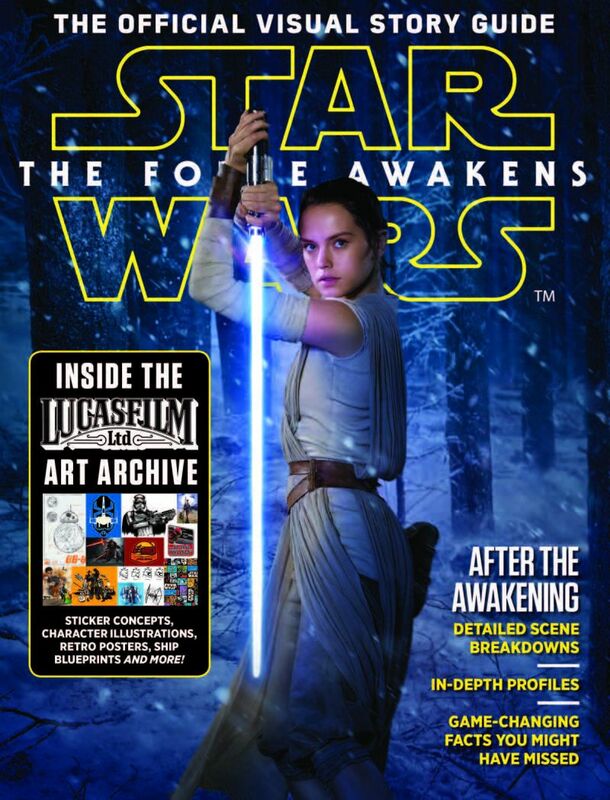 Lucasfilm presents the official magazine companion to The Force Awakens. As a new chapter in the Star Wars saga begins, this 100-page, special edition captures the magic of the struggle between the First Order—heirs to the Galactic Empire—and the Resistance, dedicated to freedom, through exclusive stills from the film, interviews with cast and crew members, and even an exclusive look at the concept art that began the Force’s awakening. Whether December was your first time seeing one of the films or you’ve been a fan since 1977, Lucasfilm’s The Force Awakens—The Official Visual Story Guide is a must-have for any Star Wars enthusiast.